Ped Egg Power. Get silky smooth feet. 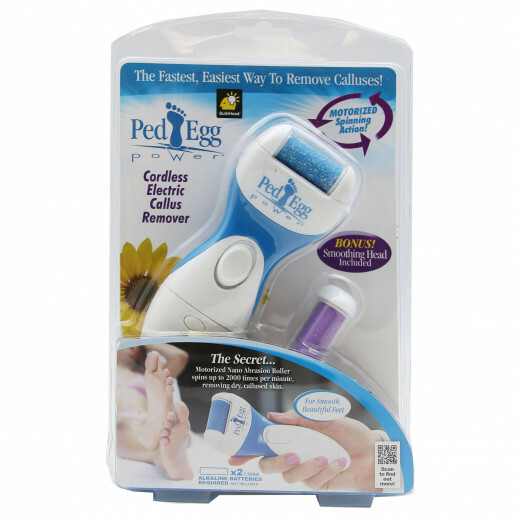 The roller uses Micro Vesicular Technology to remove dry, damaged, and callused skin quickly and easily. The electric roller does the work giving you visible results. No dangerous blades or sharp tools, safe to use. Requires 2AA batteries. Plastic. 2"L x 6"W x 9"H.
DIMENSIONS: 1.50" x 6.50" x 10.00"